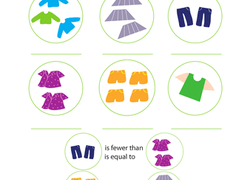 Understanding whether a value is more or less than another ties perfectly into measurement skills such as comparing distances and volumes. This is a great opportunity to get kids out of the classroom and learning how to use a tape measure, ruler, or other means of measuring items. Giving students the opportunity to evaluate tangible differences in quantities will help them understand abstract notions later on. 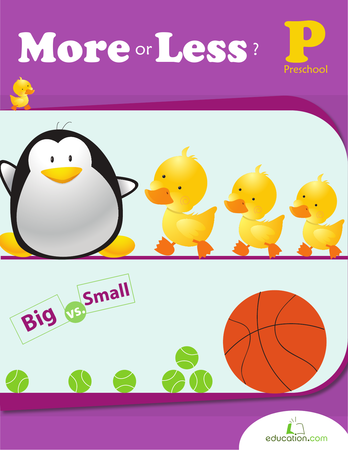 By counting groups of objects and deciding if one is less than, greater than or equal to the other, your child will be learning important maths skills. Time to joust! 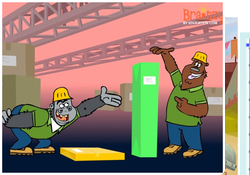 Kids practise measurement with comparison vocabulary. 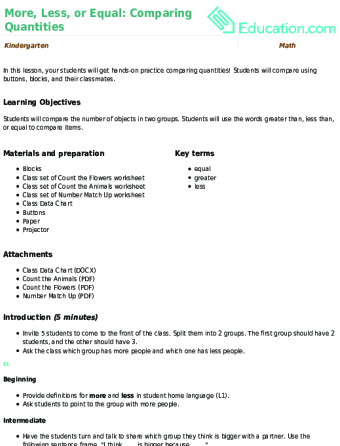 Take measurement learning to the next level with this comparing weight worksheet featuring common objects, and practise reading numbers. 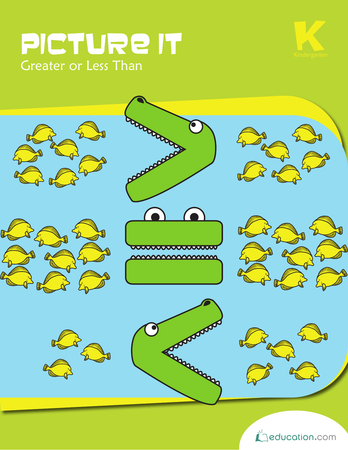 Kids compare two numbers between one and 10 in this bayou-inspired picture maths workbook. Count, add, and compare values with your kindergarteners. Go ski racer, go! Get ahead in this game by jumping the pile with the most snowballs. 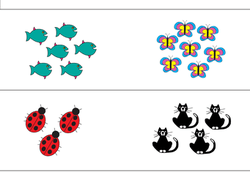 This adorable worksheet takes the stress out of maths by making it a hands-on experiment. After students learn how to count, the next step is to understand number value. 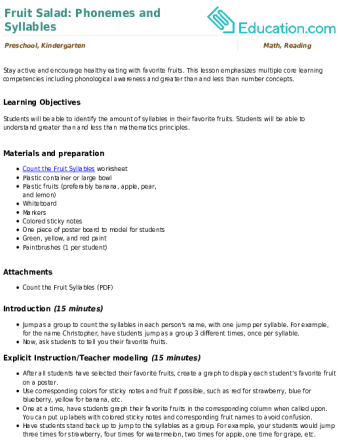 The Learning Library offers a mix of tools—from professional lesson plans, interactive games and handy printable worksheets—to teach kids greater than and less than understanding. Teacher-created lesson plans have step-by-step instructions dedicated to demonstrating this concept—one that many adults may take for granted always knowing. 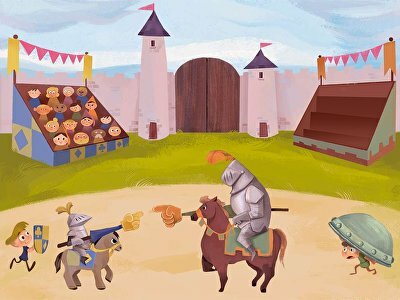 An online jousting game teaches kids important vocabulary words related to more than and less than concepts such as empty, full, light and heavy. 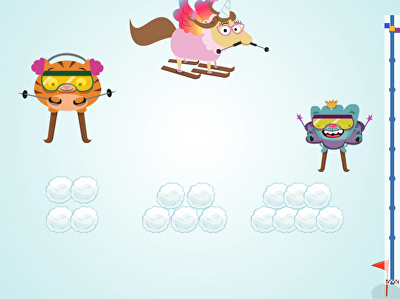 A Ski RacerGame helps students understand value by comparing snowball piles. There are quality printable workbooks for a holistic approach to teaching this concept as well. 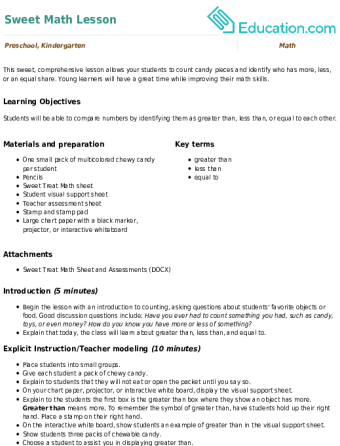 “Picture It” uses the classic alligator image to teach students the more than and less than symbols. 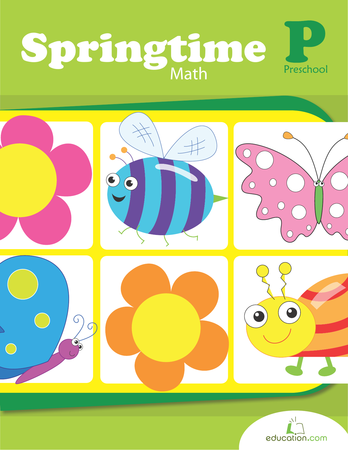 The book is full of other visual-heavy worksheets that are simple for children to understand. 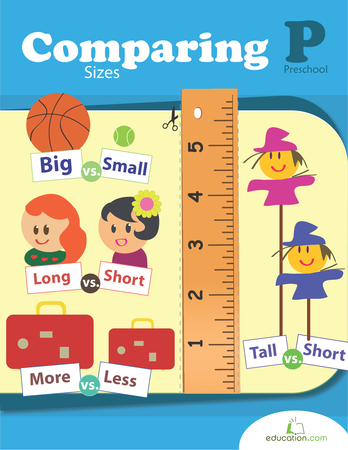 A wide variety of other tools are available in the Learning Library so kindergarten and kindergartners can conquer comparison.